This book was created by Basor Publishing. Our mission is to revitalize some old and forgotten titles/authors, and bring their popularity back. By purchasing this book you support our efforts, and we, at Basor Publishing, are extremely grateful on such aid. We hope you will enjoy every aspect of this book, and we also look forward to any kind of feedback that will help us improve our work. Thank you for giving us a chance. 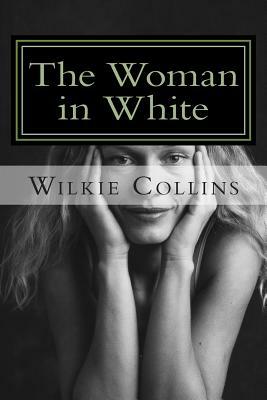 William Wilkie Collins (8 January 1824 - 23 September 1889) was an English novelist, playwright, and author of short stories. His best-known works are The Woman in White (1859), No Name (1862), Armadale (1866), and The Moonstone (1868). Collins was born into the family of painter William Collins in London. He received his early education at home from his mother, after which he attended an academy and a private boarding school. He also traveled with his family to Italy and France, and learned the French and Italian languages. He served as a clerk in the firm of the tea merchants Antrobus & Co. His first novel Iolani, or Tahiti as It Was; a Romance, was rejected by publishers in 1845. His next novel, Antonina, was published in 1850. In 1851, he met Charles Dickens, and the two became close friends. A number of Collins' works were first published in Dickens' journals All the Year Round and Household Words. The two collaborated on several dramatic and fictional works, and some of Collins' plays were performed by Dickens' acting company. Collins published his best known works in the 1860s, achieving financial stability and an international reputation.During this time he began suffering from gout and developed an addiction to opium, which he took (in the form of laudanum) for pain.He continued to publish novels and other works throughout the 1870s and 80s, but the quality of his writing declined along with his health. He died in 1889.